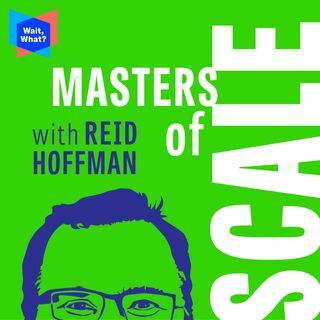 We’re back with Part 2 of our special turn-the-tables episode with Reid Hoffman. In this episode, we follow Reid through PayPal, LinkedIn, the Microsoft acquisition, his angel investments, Greylock, and his hosting of Masters of Scale — all the while proving our theory that you can chart an epic journey to scale if you make everyone you enlist a hero — in their OWN story and not just yours. Guest Host: June Cohen (Former Exec Producer, TED; Exec Producer, Masters of Scale & Cofounder of ... Más informaciones WaitWhat, the company behind it). Cameo appearances: Arianna Huffington (Thrive Global) and Jeff Weiner (LinkedIn).